A meeting Chair with a Balanced Movement Mechanism. 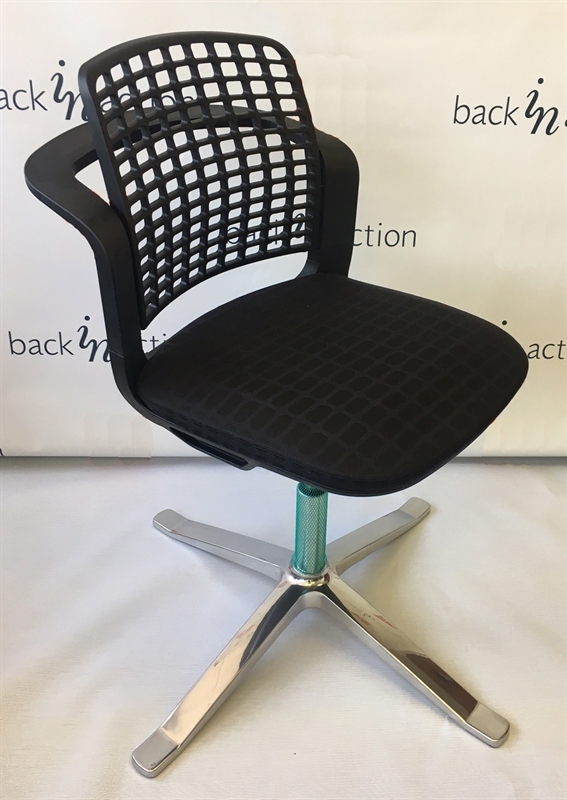 Airy Backrest in Black. Upholstered Seat in Black Soft grid Fabric. 4 Star Polished Aluminium Foot base.